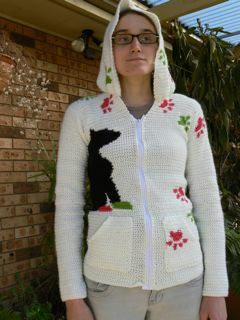 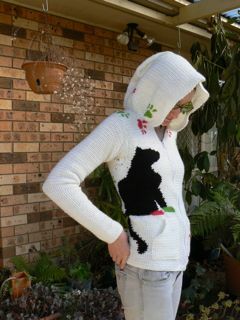 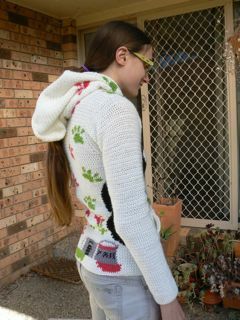 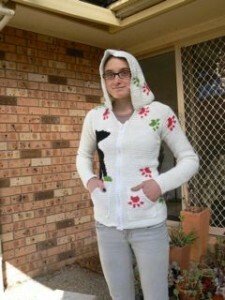 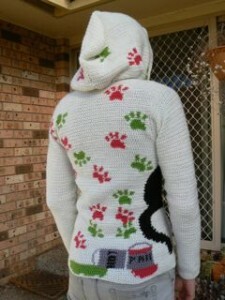 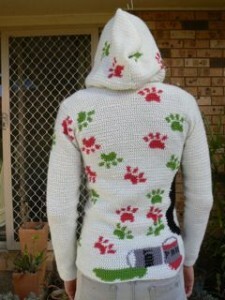 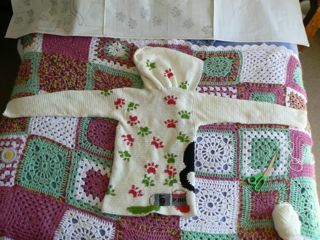 The hoodie is made with a 4mm hook and 8 ply wool. 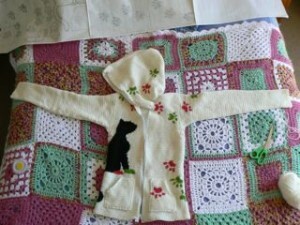 I made it my size (thin with long arms). 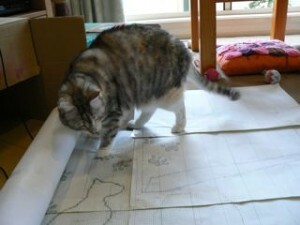 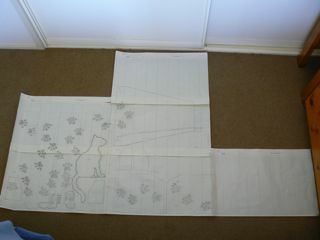 The pattern is drawn on graph paper and is so big I don’t have a table big enough for it so I always had to lay it on the floor. I can’t upload high resolution photos onto this webpage because I’m not very good at technology, but I have put the pattern up on Ravelry if you would like to try and make this for yourself.